Laser welding provides a low heat joining solution, helping to decrease thermal distortion and deliver high quality, repeatable welds. Coldwater has engineered and designed dozens of these solutions from single process work cells to complex systems integrating multiple stations, material handling and inspection. Based on Coldwater-standard laser welding modules, each system is tailored to suit customer requirements. Systems can include laser ablation stations, palletized component transfer, material handling robots, RFID tracking, inspection stations, and more. Quality checks of weld integrity are performed using an ultrasonic system to identify failures such as porosity, holes, cracks or fissures along the welded area. After inspection, good parts are transferred back an unload station and any rejects to a quarantine zone for later evaluation. The welding lines are inclusive of associated laser equipment including an air-cooled chiller to remove heat from the laser operations, and a fume extractor that is linked to both the ablation and welding stations. 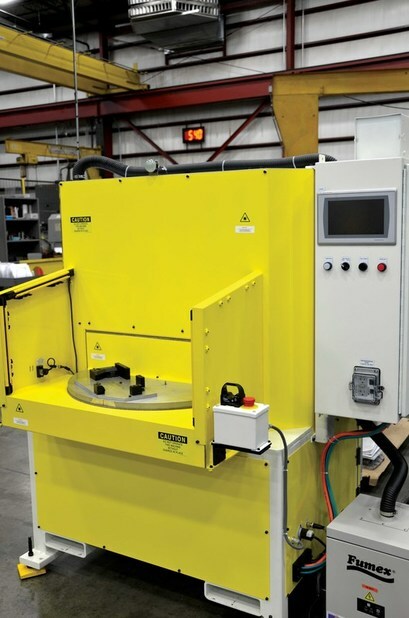 Coldwater Machine delivers turnkey solutions for our automotive partners that include assembly and fabrication of body panels, pressroom automation, robotic systems for fabricating and assembling chassis and suspension components, and laser welding systems for powertrain components. And, when it comes to lightweighting and joining of dissimilar or mixed materials, Coldwater Machine is the industry leader for new joining technologies for aluminum, magnesium and high strength materials. Laser processing can provide fast, clean, accurate and effective material removal to help prepare components for secondary operations. Lasers create a cleaner, smoother surface as compared to more traditional finishing methods such as grinding, helping to eliminate burrs and nicks without increasing surface roughness. 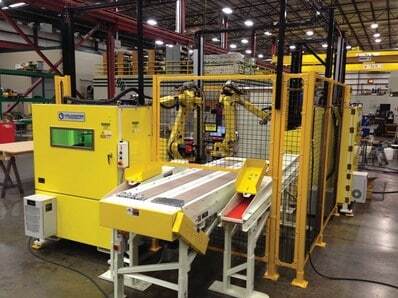 Coldwater can provide a stand-alone ablation system or integrate into a laser welding solution. Many manufacturers are being faced with smaller batch production, requiring more process changeover. 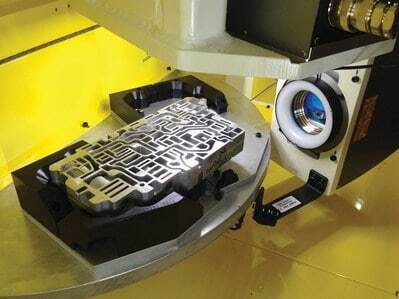 As compared to traditional mechanical stamping processes that require die production and tryout, laser systems require only software programming to quickly accommodate new cutting parameters. Plus, lasers have proven to produce a much cleaner edge when compared to stamping presses, especially when dealing with today’s high strength, high tensile steels. Coldwater Machine is the manufacturer and integrator of LSP Technologies’ (LSPT) Procudo® 200 Laser Peening System. Laser peening is a surface enhancement process that imparts superior reliability and performance into metal parts by improving fatigue life and damage tolerance.